GM: "I really must get some bathing shorts..."
Hang on. This is Mahler 2, the 'Resurrection' symphony: a crisis of faith and lack of it. "This is an angry protest against death's dominion," says the programme note of the first movement. 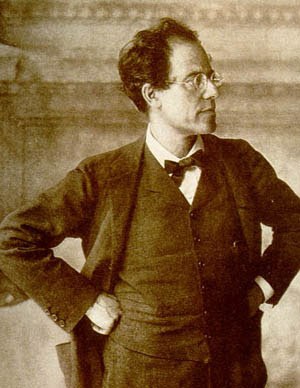 Mahler described the scherzo: "the world and life become a witch's brew [resulting in] disgust of existence in every form". That familiar tune that keeps returning in the last movement's perambulations is the bloody Dies Irae. This symphony is a matter of life and death. "What is life and what is death?" wrote Mahler, explaining the first movement. "Have we any continuing existence? Is it all an empty dream, or has this life of ours, and our death, a meaning?" He said: "My need to express myself musically begins at the point where the dark feelings hold sway, at the door which leads into the 'other world' - the world in which things are no longer separated by space and time." I found myself longing for Solti - the real, Hungarian, pile-driving, Screaming Skull Sir Georg - who would have electrified the entire South Bank. He would have had us on the edge of our seats, trembling on the brink of the chasm between heaven and hell. 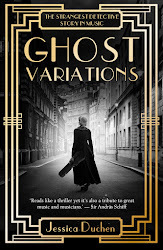 He would have terrified us with demoniac plainchant, made those clarinets snarl with cruelty and the violins and percussion hiss like asps, and at the last he'd have lifted us up to the blinding brilliance of that eternal, primordial light. And there would have been glory, tears, catharsis. There were some justified complaints recently in the blogosphere (and elsewhere) about Gergiev's No.3 being under-rehearsed the other day. But Gergiev does have fire, imagination and a seriously galvanising presence. Last night's one-pot dinner was equally under-cooked, despite having had considerably more real-time rehearsal; soprano Melanie Diener, who can be wonderful, was having an off-night; and actually an evening at Doyle's would have been far preferable to a performance of such meaningful music played with utter meaninglessness. Young left us in no doubt that it was all an empty dream. Or just empty. Word on the ground has it, meanwhile, that La Nina has pulled out of singing the Four Last Songs in the LPO/Young all-Strauss programme on Friday, though I don't know why. And if Also Sprach Zarathustra is going to get the Watson's Bay treatment too, then I'm staying home with Solti. I have a largish piece about Korngold in today's Independent. I found this on Youtube and could hardly believe my eyes/ears. This is from Korngold's mid-1930s Hollywood musical Give Us This Night starring Gladys Swarthout and Jan Kiepura, the great Polish tenor for whom Korngold created the role of The Stranger in Das Wunder der Heliane. Kiepura plays an Italian fisherman who is 'discovered' and transformed into an opera star, singing Romeo to Swarthout's Juliet. Here is the love duet that closes the opera-within-a-film and the film itself. 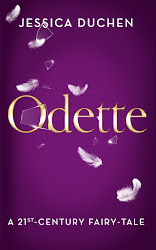 And if you think this is OTT, just wait until you hear Heliane. I have only ever seen this film once before, on a tiny reel-to-reel machine in the basement of UCLA in 1993. Some of the melodies are so delicious that if Pavarotti had got hold of them they'd have been world famous 20 years ago. The amount of excitement surrounding the forthcoming Korngold celebration at the Southbank is absolutely fantastic. Latest news is that BBC Radio 3 is to feature Korngold in 'Music Matters' on 20 October and will be talking to people who were close to the composer in person; and on 26 October 'In Tune' will be interviewing musicians involved in Korngold Day on 27th, including Anne Sofie von Otter and Bengt Forsberg. 2 November: Film music, alongside works by Waxman, Newman, Rozsa, Williams etc. Includes the UK premiere of Korngold's 'Tomorrow' from The Constant Nymph. John Wilson conducts. 14 November: Orchestral programme conducted by Vladimir Jurowski, with Nikolai Znaider as soloist in the Violin Concerto. Programme also includes Zemlinsky's Sinfonietta and Shostakovich's Symphony no.6. 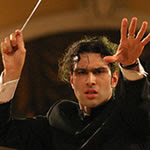 21 November: UK premiere of Das Wunder der Heliane, concert performance conducted by Vladimir Jurowski. In case anyone was hoping to come to my Alicia's Gift reading at The Red Hedgehog in Highgate tomorrow (it was flagged on my permasite), please note that it's been cancelled due to circumstances beyond my control. Hopefully the one on 8 December, linked to the recital by Peter Donohoe, will go ahead. On a slightly different note, Solti the cat, while somewhat 'indisposed', has discovered some Youtube video footage of Richard Tauber, whose voice conveys the essential spirit of Vienna. And the home movie passage shows him cuddling some lion cubs. ...It's today, and I'm not there. I should currently be listening to Piers Lane and the Doric Quartet playing the Elgar Piano Quintet on the spot where Dame Myra and her musicians sat during the years of the Second World War, when the gallery was cleared of most of its paintings and Hess moved music in instead to raise Londoners' spirits. Last year's day devoted to her memory - the first ever, unbelievably - proved so popular that someone listened to our calls for it to become an annual event, and Piers intended today's concerts to be a tribute in a wider sense, to music as a consolation in times of war. They opened at lunchtime with a concert of Bach transcriptions for one and two pianos; at teatime, Anita Lasker Wallfisch gave an interview about her wartime experiences; and this evening the concert featuring the Elgar Quintet was to end with the Messiaen Quartet for the End of Time. Annoyingly, I pulled a tendon in my leg at the gym earlier today and am hobbling about. So instead of being there, I am watching Dame Myra on Youtube. You can too. Here she is playing the Appassionata at the National Gallery in 1945. As from yesterday, our friends in the Netherlands can read Alicia's Gift in Dutch under the title Wonderkind. I'd hoped to give a full report on the glittering party that followed the LPO's anniversary concert the other night: the fantastic big-band playing of its Renga Ensemble with Scott Stroman, the speech by arts minister Margaret Hodge, the dusky and charismatic figure of Vladimir Jurowski encircled by adoring fans, the champagne [sorry, Pliable! I've no intention of being at loggerheads with anyone; it takes all sorts, etc, and there's enough room on earth for Adorno, Cage, Rachmaninov and Moet & Chandon]...But we only caught about 10 minutes of it because we were backstage trying to force Tom's locker open. The key was bust and his wallet and sandwiches were on the wrong side of the door. We also survived our first ride in a brand new RFH lift which took us to the top floor around 7pm and then didn't want to let us out. Again, all was well when it changed its electronic mind, but there was a worrying minute in which we thought there'd be an empty seat in the first violins. Vladimir's account of the Rachmaninov Symphonic Dances, however, was an event that would surely have made Sir Thomas Beecham proud of the orchestra he founded 75 years ago. Vladimir is a spiritual type, interested in zen, meditation etc, and perhaps this comes across in his conducting in the moments of stillness, the intense focus, the darkness gathering invisible momentum in the background, ready to erupt. The final 'dance' seemed an apocalyptic evocation of a collapsing world. I'm not going to write about the Mozart and Beethoven because I can never get past the mental image of a Cornflakes packet being thumped when I hear those 'authentic' 'period' drums. But here's a full review from The Telegraph's Matthew Rye. Richard Bissell, by the way, is the band's very fine First Horn. There's no need to introduce Pollini, but I'd like to say that he's one of the pianists I have most admired and respected all my life. An interview I did with him a few years ago left me with the impression that he's a mensch: a person of absolute integrity who lives and works according to strong ideals. No pretence, no fuss, no nonsense: simply the real thing. Should be an evening to remember. Here's a more recent interview with Pollini by Richard Morrison (The Times, 28th September). And to inspire, here's the maestro playing the second movement of the concerto, with Abbado conducting. 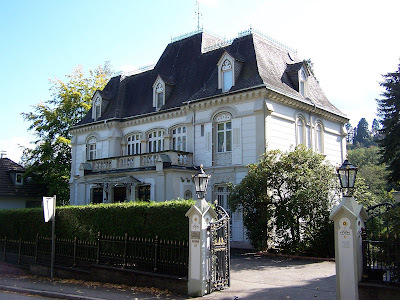 First to a blog called International Listings which has to do with luxury real estate. Its proprietor has kindly seen fit to include JDCMB among the top 100 blogs suitable for the super-rich, classifying it under 'Odds and Ends'. It's a culturally interesting phenomenon, this, but the promotion is appreciated. 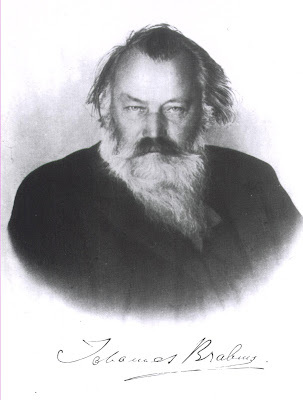 Also to The Official Blog of the Grateful Web, which liked the Brahms picture, points to a number of interesting blogs of all types and recommends a search engine which I keep meaning to try out. Next, the estimable Stephen Pollard at The Spectator, who has kindly included JDCMB on a very elite blogroll. Different politics, but shared interests! And last, but by no means least, to the Sunday Times, which last week named Beloved Clara as its audio book of the week. I was basking in Baden-Baden and missed it on the day. Tres drole. Spent Wednesday at the Gramophone Awards. Suffice it to say that the Dorchester is a splendid venue, the food was superb and the champagne flowed. More importantly, so did some very astute prizes. I was particularly pleased to see the veteran record producer Christopher Raeburn being presented with a Special Achievement accolade. We miss people in the industry with his level of artistic judgment, musical idealism and integrity. Bravo. Also thrilled that Jonas Kaufmann's CD of Strauss Lieder won its category, with some strong words from the relevant commentator about how fabulous this glorious tenor is. Brahms did well. There was a prize for the German Requiem from the Berliner Philharmoniker conducted by Simon Rattle, with soloists Dorothea Roschmann and Thomas Quasthoff, and for Nelson Freire's recording of the two piano concertos, which happily scooped Record of the Year. A true artist, Freire: a musician of honesty, finesse and intelligence through and through. Julia Fischer, the wonderful young German violinist, was Artist of the Year, voted for by millions of listeners to some 15 radio stations around the world. Young Artist of the Year was Vassily Petrenko, the youthful Russian who's currently making the kind of waves at the Royal Liverpool Philharmonic that would please a surfing champion. There are many more prizes and you can read the full list here. UPDATE, 6.07pm: The Overgrown Path appears to think we should all have stayed home to improve our souls by reading Adorno instead. He is right to imply that contemporary music did not have a major presence in the selection. One award was presented for a CD of music written in the past decade - it went to Julian Anderson - but only one. I would love to see the huge variety of contemporary music being encouraged and celebrated with more prominence at such events. We should perhaps note that the full title of these awards is The Classic FM Gramophone Awards. Baden-Baden, where I plucked up the courage to join Tom & the orchestra for a Tristan-dash (check in Heathrow 7.30am, plane delayed 1.5 hours - though not, this time, due to a cat in the hold, just the usual London airspace nonsense; arrive Frankfurt 12.45pm, leave Frankfurt by coach 1.20pm, hold-up on the autobahn, arrive B-B 3.30pm, scheduled start of opera 4pm, actual start of opera necessarily 4.15pm, finish playing 10.15pm, much beer 10.30pm). Mad, perhaps, but wonderful as well: it was worth every minute of the extra stress. Glorious performances of Lehnhoff's breathtaking blue-light-of-nirvana production from Glyndebourne; Nina Stemme and Katerina Karneus resplendent as Isolde and Brangaene, Robert Gambrill as Tristan, Bo Skovhus as Kurwenal. The excuse for exporting Glyndebourne wholesale (I think this was the first time they've done so) was the Herbstfestival in B-B's marvellous Festspielhaus - once the station at which Brahms, Turgenev et al would have arrived in the town. The all-star line-up meant that on the first morning we met the Leipzig Gewandhaus Orchestra at breakfast in the hotel, and on the second the Vienna Philharmonic, which caused much interest in the LPO because they turned up to the dining room mostly in jackets. 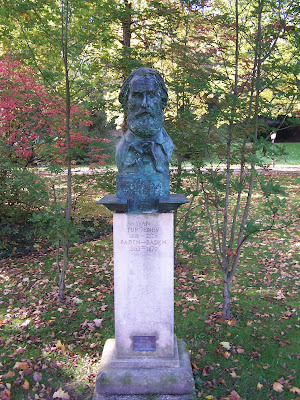 Above, top to bottom: the Turgenev bust in the park; Brahms himself (frei aber froh? Really, Johannes? 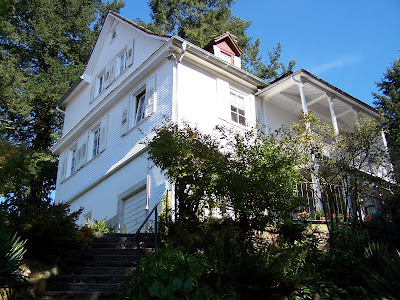 Look at those eyes...); Brahms's house; and the house that Turgenev built (which bears a cruel plaque saying 'Villa Turgenev, kein zutritt') next to Pauline Viardot's, which has been knocked down and replaced with apartments. Why no statue of Pauline? But the day after coming back, I went to Paris to investigate what Cecilia Bartoli is doing with Pauline's legendary big sister, Maria Malibran.